The Sandoz Talent Excellence Program is an accelerated, 19 month leadership development program where trainees work through three six-month rotations in Quality Assurance, Production, Development, Engineering and Operational Excellence, at different Sandoz sites globally. Introduced globally in October 2012, the comprehensive training program targets talented graduates from top universities around the world. 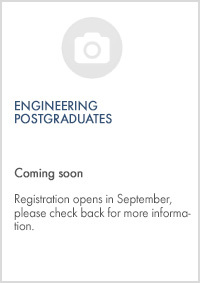 The program is divided into two tracks, Natural Science and Engineering. Both tracks endeavor to give you a breadth of experience across our organization, and the diversity of what we do creates numerous opportunities for a rewarding and challenging start to your career. Along with on-the-job experience, the Sandoz Talent Excellence Program provides a balance between technical skills such as Good Manufacturing Practices (GMP) for pharmaceutical products, and essential skills like project management, presentation and communications. Applications for 2017 intakes will open again in September 2016. "I was drawn to the diversity and depth of the program." 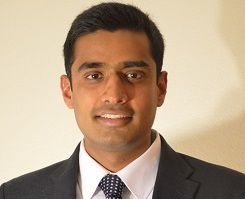 Dheeraj joined the Sandoz Talent Excellence Program in January 2013 and spent his first six months in the program in Austria looking after Quality Assurance Stability at the Kundl site. Currently, he is based in Holzkirchen, supporting the Strategic Planning and Program Management team of Global Quality Assurance. His next planned move at the end of March 2015 is to the Wilson site in the US, where he will gain exposure to manufacturing operations. An Indian national, Dheeraj received his bachelor’s degree in Pharmacy from Jawaharlal Nehru Technological University Hyderabad. He then moved to Zurich, Switzerland, where he completed his master’s in Industrial Pharmacy at the Swiss Federal Institute of Technology (Eidgenössische Technische Hochschule Zurich). He brings with him research experience in biology, physical chemistry and engineering drug particles. We recently spoke to him about his experiences in the Sandoz Talent Excellence Program. What factors should a recent graduate consider when choosing his/her first job? ‘Where do I fit in?’ is normally the question a fresh graduate grapples with during the initial phases of job hunt. Since the first job lays the foundation for the future career path (at least for the first few years), it is very important to identify one’s interest and start looking for jobs that match. Let your passion and interest lead you to the career choice. Why did you decide to apply to the Sandoz Talent Excellence Program? I was drawn to the diversity and depth of the program. The Sandoz Talent Excellence Program provided an opportunity to have deeper insight into the pharmaceutical industry starting from Product Development to Manufacturing to Quality Assurance. Cross-functional assignments in multiple countries with multiple functions, can really help to identify a trainee’s interest and allows him/her to make a well-informed career plan. Describe your experience in the Sandoz Talent Excellence Program in one word. Versatility. The Sandoz Talent Excellence Program program has exposed me to both technical operations at the manufacturing sites as well as broader strategic and corporate management principles at Sandoz headquarters. Someone who is flexible, inquisitive about business, results-driven and social (actively networks cross-functionally). What has been your greatest learning while working here? Understanding how constant collaboration and team work is of utmost importance. What do you know now about Sandoz that you didn’t know before? Before joining, I expected Sandoz to be primarily focused on manufacturing and technology. What I have come to realize is that people and culture are the main drivers in the company. Your tips for cultural adaptation? If you are moving into a new country, observe first. Try to learn how things are done (both in formal and informal settings) so that you can adjust your working style. Go beyond your professional realm and take into the cultural surroundings with openness. During my attachment in Holzkirchen I’ve started learning German and even tried out snowboarding! Although I ended up with a small fracture in my wrist, I thoroughly enjoyed the adventure. That’s what adapting to new cultures is all about, take it as adventure and enjoy the experience! "The Sandoz Talent Excellence Program to me epitomizes opportunity." Jean Paul brings with him a diverse academic and professional background. 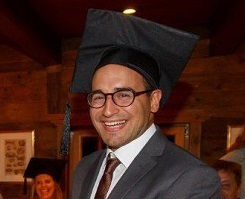 After completing his BSc in Chemistry and Biology from the University of Malta, Jean Paul moved to the UK and did his master’s in Biochemical Engineering from University College of London. A member of the first class of Sandoz Talent Excellence Program trainees, he worked in Spain, Germany and Austria before assuming his current position on the Sandoz Manufacturing Science and Technology Team based in Basel, Switzerland. He is part of the External Supply Operations (ESO) team dealing with over 300 suppliers in Europe, Middle East and Africa. His role involves handling product quality, process improvement and process verification of external suppliers so that their standards meet the quality benchmark of Sandoz. Gain on-the-job experiences through summer internships and short-term assignments even before you officially enter the job market. Internships allow you to know the company and make the right choice. Finding the right fit is extremely important. Choose a company that best fits your career aspiration and personality. The reputation of the company and its ethical standards are also important considerations, whether the company is responsible towards all its stakeholders and including the environment. 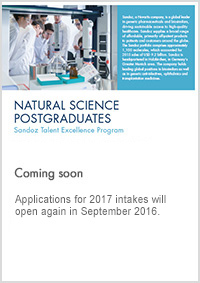 The Sandoz Talent Excellence Program offers the trainees choice and flexibility. You get to work in diverse cultures and different functions and gain invaluable on-the-job experience before you can decide to follow your chosen career path. “Opportunity.” The Sandoz Talent Excellence Program to me epitomizes opportunity. It is an opportunity to network, discover your core strengths and build a strong foundation to nurture that strength. What do you know now that you wish you had known when you were applying (or when you joined Sandoz)? My key take-aways have been the art of decision-making and importance of networking. My suggestion would be to start building and nurturing contacts within your chosen industry right from the university days. Meet your contacts for discussions and try to get a sense of the industry and company before applying. What kind of recruit would prosper at Sandoz? You need to be enthusiastic and eagerness to learn is essential. You need to be dedicated and ready to contribute beyond your formal job description. Focus, discipline and mobility are other important factors. The importance of collaboration and culture. Novartis and Sandoz have complex structures and span across such diverse countries, yet it’s fascinating to see how everything comes together to represent what we stand for. I have realized how values bring people together. "I was attracted to the international opportunity and global reach of Sandoz." 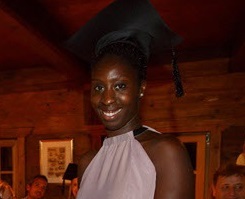 A German national, Oforiwa completed her bachelor’s in Molecular Biology from Mainz University, Germany. She then moved to Edinburgh for her PhD in Biomedical Science and completed her Post-Doctoral from University of Strathclyde (Glasgow). As a Sandoz Talent Excellence Program trainee, Oforiwa worked in Quality Compliance in Sandoz Kundl site, Austria, in Sandoz Development Center in Ljubljana, Slovenia and in Manufacturing Science and Technology in Sandoz Broomfield site, USA. After successfully completing the two-year program, she has been assigned to Kundl/Schaftenau site in the BioInject facility as Quality Assurance Compliance Manager. I was attracted to the international opportunity and global reach of Sandoz. It’s amazing how all the different cultures work together for a common goal to supply affordable medicine to everyone. A worthwhile challenge. In academia, you are used to work for yourself. In Sandoz, 10 Sandoz Talent Excellence Program trainees start to work together and you have to work as a team. Everyone in the team has a strong personality and you are collaborating and learning to accept the differences in working style and personality types. It gets more interesting as we are working on the same project from different locations. You can’t have a better grooming than is to thrive in a multicultural and international environment. The most important aspect is the ability to work as a team. You also need to be curious, flexible and show drive and initiative. You can be successful in Sandoz only if you think different or ‘outside the box’. You need to understand that as a trainee, you start from the beginning and have to take on responsibilities with openness. Start with a clean slate and take it all in. Sometimes unlearning some of your habits from academia, for example, focus on individual excellence is needed. You always have to be open to new opportunities. On first impression a task might seem dull or tedious, you might not be too excited about the role, however don’t shy away from trying. Experience first and you might come out with a completely different outlook. Sandoz is much more diverse than I thought it would be in terms of the global reach and portfolio. Be patient and observe your surroundings for cultural signals before you act. People are different; you need to think why they are behaving in a certain manner without being judgmental.